A potentially lengthy U.S. legislative fight over replacement of the Obamacare health law gets underway on Wednesday as two House of Representatives committees begin negotiating over changes to a Republican plan backed by President Donald Trump. Both Democrats and Republicans are expected to try to reshape legislation that dismantles key provisions of the 2010 Affordable Care Act, Democratic former President Barack Obama's signature domestic policy achievement. 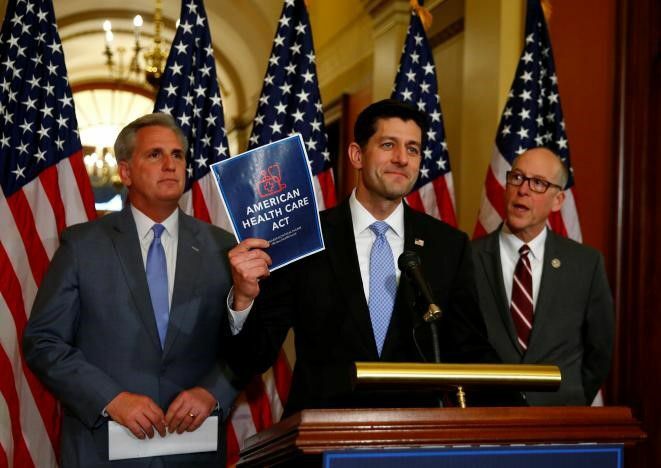 The Republican plan unveiled on Tuesday would scrap Obamacare's requirement that most Americans obtain medical insurance and replace its income-based subsides with a system of fixed tax credits of $2,000 to $4,000 to coax people to purchase private insurance on the open market.